Home / HR/ Master the art of sharpening your axe! Master the art of sharpening your axe! Do you know that there is an ‘art’ of sharpening an axe? Try sharpening your kitchen knife and you’d be amazed at how blunt it becomes. Why? Because you did it the wrong way! 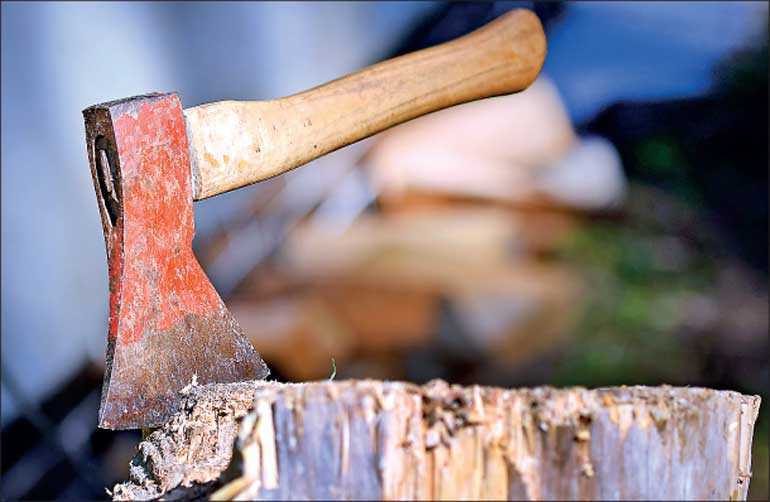 Abraham Lincoln is quoted as having said, “If I had five minutes to chop down a tree, I’d spend the first three sharpening my axe.” Perhaps he meant it both literally and figuratively. Incompetent tools make the tasks unproductive and waste our resources. So how should one gain competitive excellence in discharging a task? This is easier said than done. The trick is knowing what needs to be sharpened. Once you know what needs to be sharpened, you have won half the battle. But the challenge remains in sharpening it and maintaining the sharpness. This is not done at the ‘cost’ of what need to get done, but as an ‘investment’ towards what need to get done. Take stock of what needs to get done: What’s your job role and the tasks involved? Identify the tools or resources needed: What competencies are needed to accomplish it? We know that the required qualifications, experience, technical skills and soft skills are collectively known as ‘competencies’ or ‘KSA – Knowledge, Skills and Aptitudes’. When we hire staff, if we hire just their knowledge and not the complete talent or the ‘whole person’, what would you end-up with? For this, let’s look at the ‘Whole Person Concept’. In the absence of the ‘whole person’ at work, one would never ‘bring out the best’ in you or your staff. This puts us on the pursuit to identify the ‘cutting edge’ of the tool (the talent); in mastering the art of sharpening the axe. Check the efficiency of the tools: There’d be certain jobs where physical strength, vision and skilled hands are required. There’d also be certain jobs that could be done by ‘differently abled’ persons. So, it’s not the same measurement of the efficiency of the tools which can be applied for all jobs. A competency framework provides the essential Knowledge, Skills and Aptitudes required for each job. This becomes a guide in recruitments, compiling of job descriptions, considering promotions and identifying training needs in ‘sharpening the axe’. In categorising competencies, knowledge and technical skills are specific, quantifiable, basic, mandatory elements of competencies. Aptitudes demonstrate the behaviours and the ‘way of thinking’. In the concept of ‘winning through people’, it is extremely vital to ‘fix the way of thinking’ in comparison to other competencies as that cuts the competitive edge with a workforce of equal qualifications and expertise. It is in this context, that the mind becomes a vital tool as true success and happiness is found by those who learn to love what they do. This is evident as there is a huge difference between people who work with their heart and those that don’t. As the saying goes, ‘practice makes one perfect’, continuous use of knowledge and technical skills will enable one to master a work area as long as it’s a diverse and challenging work scope. It is pivotal that one pursues new concepts and knowledge in keeping with the changing market demands as well as pass the baton in knowledge transfer – the right pitch for continuous knowledge enhancement and technical skills training. This is not the same for soft skills. In the ‘school of hard knocks’ the situations we go through in life could make one ‘better’ whilst making another ‘bitter’. Speaking of the training, unfortunately most of the soft skill trainings are focused towards ‘fixing behaviour – the surface of the problem’ and not its ‘root cause’ and hence its results are short lived or in its worse sense - not effective. This has led to losing the confidence in soft skills training. What’s the outcome? Less or no soft-skills training opted - fair enough from the employers’ point of view! But, what’s the result? Blunt mindsets that display lopsided tools of human talent! It is like you have got expensive axes – but not sharp enough to do the job. It is time we identify trainings that address the root-causes of adverse human behaviour; trainings with depth that discuss matters of heart and mind; trainings that ‘plant good seeds’ that grow up to bear good flowers and fruits; not quick-fixers but solid long lasting remedies; trainings that are like antibiotics that are given periodically to eradicate the germ completely and not a pain killer that gives quick relief for a few hours and creates aaggravated situation at the end. Continuous Professional Development (CPD) concept in focusing on developing the ‘complete talent’, need to recognise much deeper soft skill trainings that address the ‘invisible root-causes’ and not the mere fixing of outward behaviours in enabling life transforming change of heart and change of mind – the ‘cutting edge’ and the ‘competitive edge’ for true success and happiness at workplaces. How are you sharpening the cutting edge of your human talent?